I've got a new post up on the blog today about offers company OhMyDosh. OK Signed up... i thought G Bonus turned to mince VERY quickly (just had a look... still is), clicked on the Now TV £5 one...luckily read the whole thing, you can't cancel after free trial you need to take out a Now TV subscription, so, in effect you are going to be paying say £9.99 but getting a fiver back, so you lose a fiver... unless you really want NOW TV.. so that one got binned, on to the Which one, £7.50 for taking a £1 trial (so £6.50) what worries me here is "Free trial must be taken in full" what does that mean? a free trial is a free trial?? maybe they want you to cancel 30 days and zero seconds after taking it out (And just hope that you can cancel it in the nanosecond space before you get charged a full subscription?? (BTW that is £103.20 if you don't manage to cancel in time... seems like this company is just giving a few quid off full subscriptions to stuff as a sweetener to me... anyone else???? am i being too cynical here? Thanks for signing up and taking a look around the site. I totally understand your comments above, we work direct with advertisers and the reason they offer any kind of free trial is to show off their product. Our goal is to send quality users to these sites and we would not recommend signing up to a free trial for the reward alone, with the variety on the site we hope that people will sign up to things they are genuinely interested in and will continue to use. Of course if all our users signed up to NOW TV and everyone cancelled, we wouldn't get paid which mean we couldn't pass the reward back to our user, so sad faces all round. Therefore we encourage users to continue to use the products. 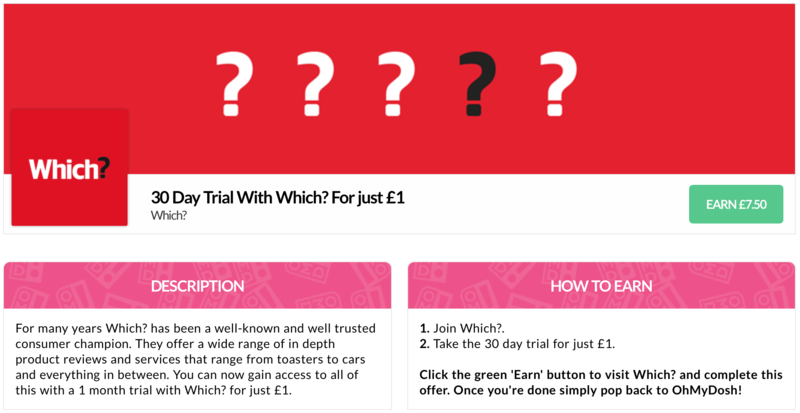 We are constantly adding offers (daily) to the site, some free trials, some discounted trials. We try to be as clear as we can be within the descriptions, there are certain advertisers that won't pay us unless the users goes onto become a paying member. Is it worth maybe having it so it's clearer on each offer page that you 'must stay a member for 2 months' in a more prominent way. In the same way topcashback always explains what needs to happen before you will get your cashback. @Jon Yep I agree with that! Will look to get that changed over the next couple of days across the site! Aye, the absolute last thing you guys want is people signing up but pulling the plug before both you AND them get the money..
Do you think other similar sites are more obvious about that fact and if so which ones? In my eyes, all feedback is good feedback! I think most sites operate the same way... they just don't tell the customers and hope enough will forget to cancel and keep the site happy. I've signed up via the link and got 50p. It says click link to confirm email address but nothing happens and no email in my inbox to click. Thanks - I will give it another go tomorrow. Another point - sorry it is negative at the moment - I have just spent nearly 15 minutes trying to get a survey from the first sign up I did. As I was either screened out or would not do 20 mins survey for nothing I doubt I will get paid for the time. Could you email me on dale@ohmydosh.co.uk and I can take a look at both issues for you. I signed up but I get an invalid link in the email I received to validate my email? 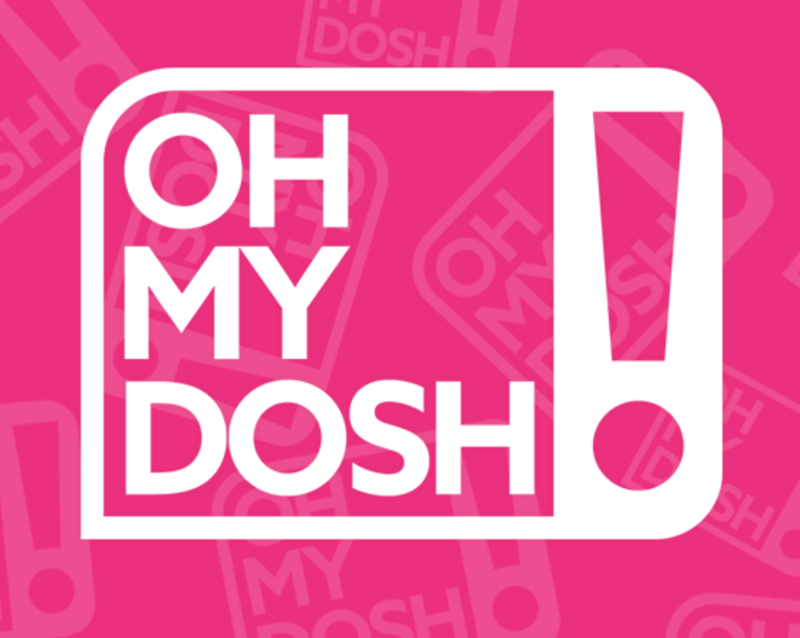 Could you email me on dale@ohmydosh.co.uk and I will look into the issues for you. I'll try resending the confirmation email first, if that doesn't work I'll email you.